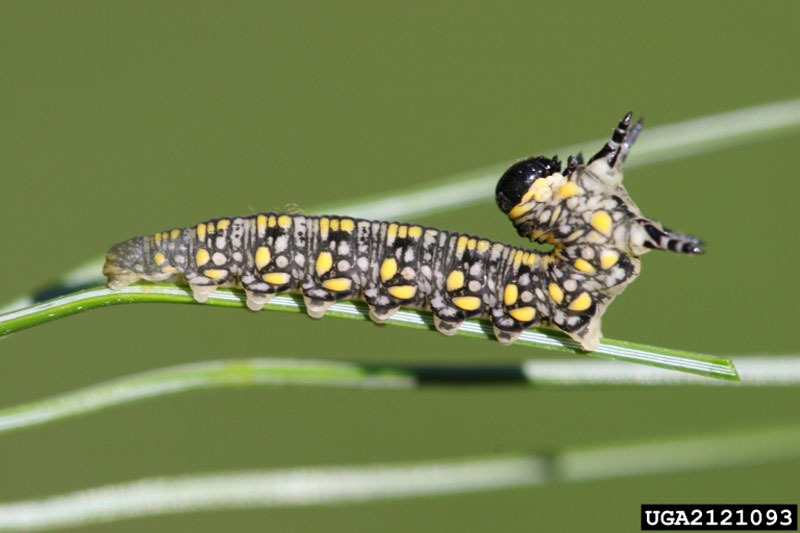 The larvae of the introduced pine sawfly, an exotic defoliator insect, are greenish yellow in colour and have a double longitudinal stripe on the body. Their sides are yellow and white and their heads are shiny black. 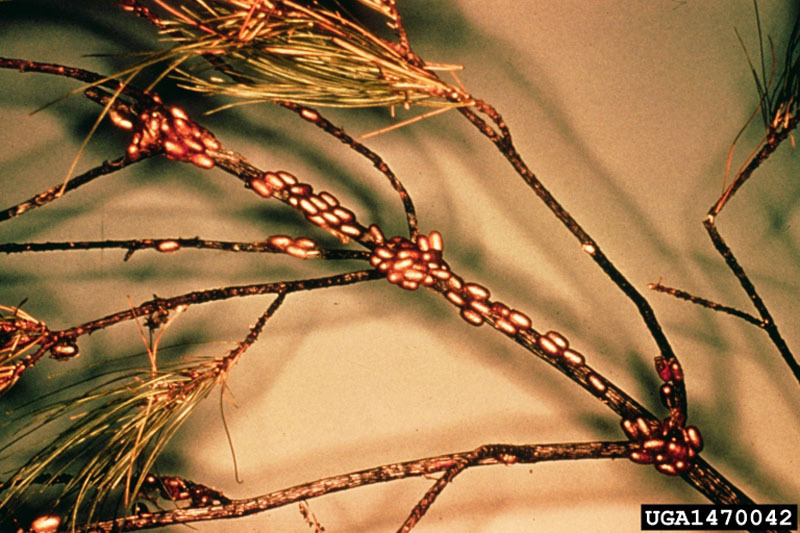 A sign confirming the pest’s presence, aside from direct sightings of larvae or adult insects, is the remains of hollowed out, yellowed needles. 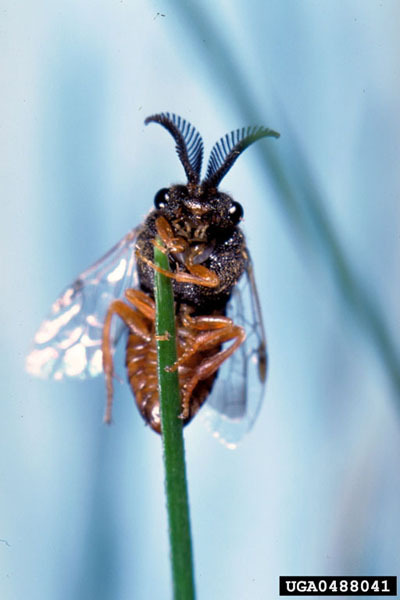 Introduced pine sawflies produce two generations during the growing season. An initial hatching of larvae occurs in the early summer. The young larvae form into groups and feed solely on the external, tenderer parts of needles, which are always old needles. However, the young larvae disperse rapidly and the damage they cause is not concentrated in one sole area of the tree. 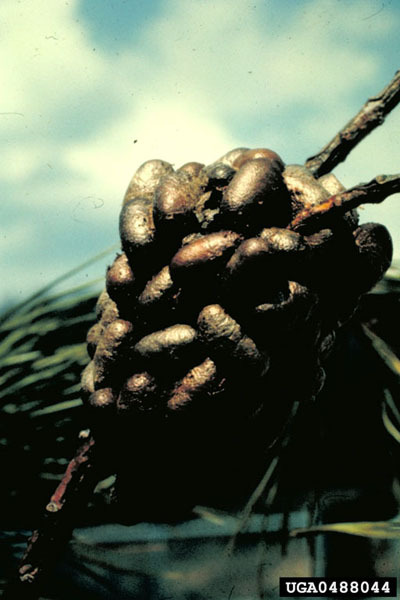 Older larvae disperse throughout trees and devour needles in their entirety. Second-generation larvae, which are usually more numerous, emerge in early August and feed until September. 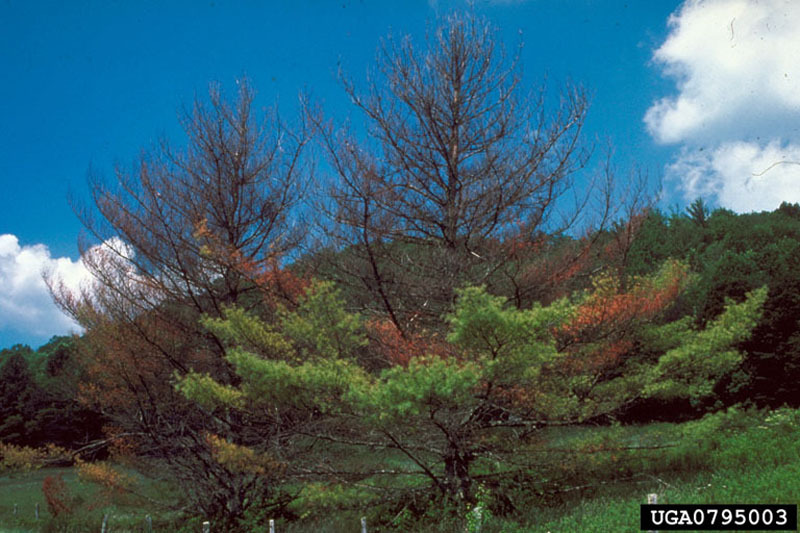 If bivoltinism (two generations in one year) occurs, trees can be completely defoliated in one season, which is sufficient to kill them. Damages in the Prairie provinces have been minor as compared to these in eastern Canada. First detected in Canada in 1931 near Oakville, Ontario, this insect is thought to have been introduced into the United States from Holland in about 1914. It is well adapted to North America and has spread far and wide in the eastern and central United States, Quebec and south of the Great Lakes. 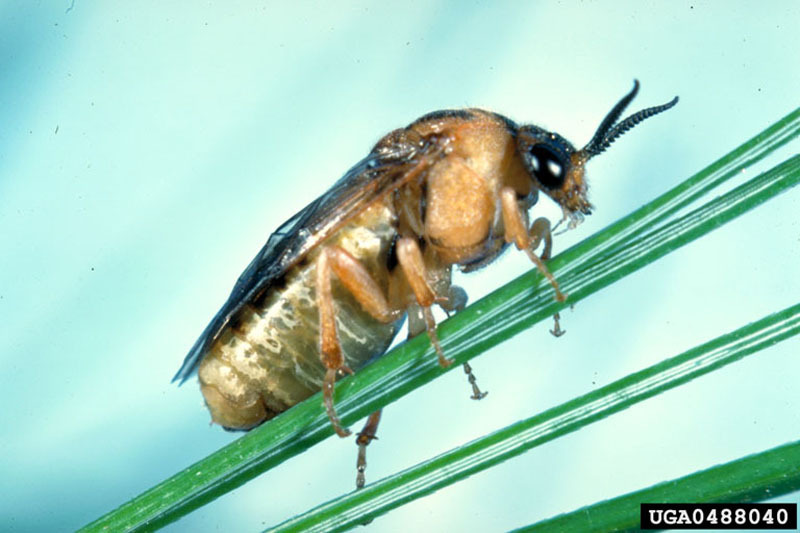 Occasionally there are outbreaks of pine sawflies that attack several pine species, and, in particular, white pine in plantations or natural stands. Despite their rate of reproduction (two generations per year), the damage caused by pine sawflies has so far been relatively limited. No doubt this is because the insects have natural enemies that seem to limit their propagation, particularly parasites and a parasitoid wasp that develops and lives inside the pupa and eventually kills it. Some of these parasites have been introduced from Europe.